This past month, there have been so many notable new studies with animal models that it’s difficult to keep track of them all. That’s why the ingenious team put together this summary of some of the top stories for March. Mammals are unable to see infrared light, but they may be able to with some help from a nanoparticle injection, as seen in a recent study with mouse models. Scientists at the University of Science and Technology of China have demonstrated this by using nanoparticles that bind to photoreceptors in the eyes and convert infrared wavelengths into visible light. After receiving these nanoparticles, the mice were able to perceive light with wavelengths of over 700 nanometers with minimal side effects. In other words, they now had “night vision” and this worked in conjunction with their normal seeing vision. This was confirmed by tests that allowed scientists to observe the different behaviors between the control and modified mice, as well as other measures and recordings. Many applications may be possible with this new technology; for example, in humans, perceiving infrared light could help with color vision deficiency as well as military and security work. Before this can be explored, though, more research is needed to determine if this procedure is safe and viable in humans. The study has been published in Cell and is available at this link. Using a new mouse model, a group of researchers in Southern California have discovered that not all Propionibacterium acnes cause acne, going against popular belief. Recently it was found that there are different strains of P. acnes, only some of which are abundant in acne lesions. However, this research has been hampered by the lack of a good animal model to study. In mice, administration of P. acnes alone does not cause long-term skin lesions and the mouse immune system clears away the bacteria rapidly. In this new study, scientists first topically administered synthetic sebum to mice, which is modeled after the waxy substance secreted by human skin, and then administered the bacteria. Because previous mouse models of acne did not have this sebum, they were unable to properly simulate the progression of acne in humans. The new topical application now made it possible for the mice to develop pimples once they received the bacteria. This translational mouse model helped researchers discover which strains of P. acnes are associated with natural health and development, and which ones cause acne. The team hopes that by conducting more studies, they can take a closer look at why the combination of human sebum and acne-associated strains of P. acnes results in lesions. Click here to read the full study, published in JCI Insight. 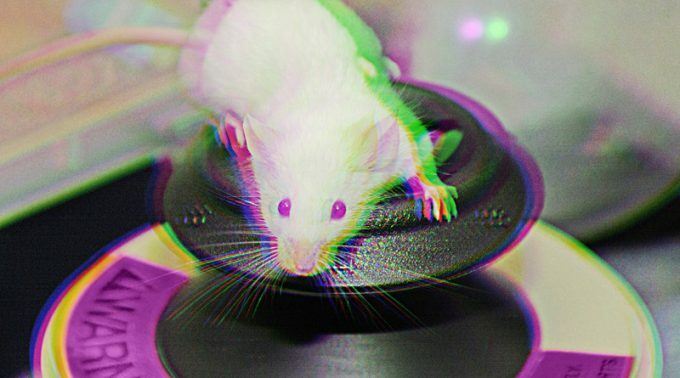 Blind mice gained the ability to see for the rest of their lifetime when scientists injected their eyes with a gene for a green-light receptor. Within one month, the formerly blind mice were able to navigate their environment and identify patterns on an iPad just as easily as the mice with unaffected vision. The team of researchers from the University of California, Berkeley published the results of this new gene therapy in Nature Communications. While previous studies also reversed blindness in mice, this is the first gene therapy that used the green-medium wavelength cone opsin gene. As a result, the mice in this study were able to see a wider range of light compared to those in the past. According to the team at UC Berkeley, this therapy may be tried in humans who have lost their sight due to retinal degeneration in as little as three years, potentially giving them enough vision to move around and restore their ability to read and watch videos.